Queen are probably one of best and well known Rock Bands of recent times. Their music is timeless and appeals to all generations. Hits such as Bohemian Rhapsody, We are the champions, Flash, We will rock you and Princes of the Universe (highlander) are just a few of the legendary songs released by this group. Even though Freddie Mercury passed away in 1991 his spirit lives on in the words of his unforgettable lyrics and his performances and Queen continue to be one of the World’s most popular groups. 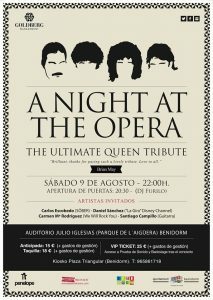 On Saturday the 9th of August a group of various artists will be hosting “A Night at the Opera” The Ultimate Queen Tribute. 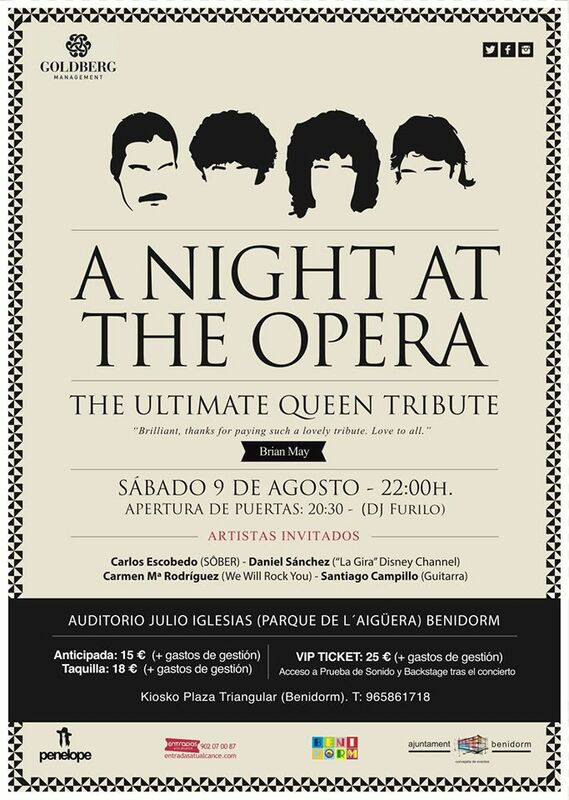 What a great way to spend a summer’s night in Benidorm!! A weekend in Benidorm: what to do and see in 48 hours?